Dear Friends, that is not the way to eternal life. The way to eternal life is through Christ, through the cross, through battle and victory over our enemies. 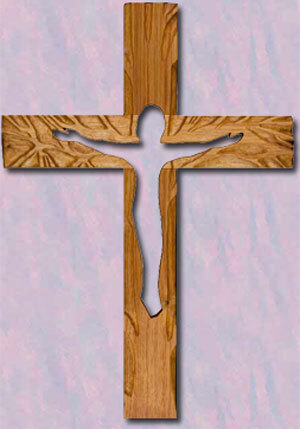 Viewed on the surface of things the cross strikes us with terror, but viewed in proper perspective it is desirable. Viewed superficially the cross appears as the tree of death, but to one who views it in depth the mystery of the cross shines forth as the tree of life because of him who hung upon it. Since it is the source of life it gives life by infusing grace. In the epistle to the Romans we read: The wages of sin is death; the gift of God is eternal life. The cross is the tree of life-giving grace which makes us new men in Christ and brings us to repentance.